LG's local supplier in Israel announced that it will bring LG's 77EG979Y (77EC9800) 77" 4K OLED TV to Israel in the second quarter of 2015. Interestingly, they reported that someone already bought this TV in Israel - and the cost was $38,800 (including taxes in Israel). This was LG's flagship TV in 2014, but in 2015 LG will launch an even better TV, the bendable 77" EG9900. 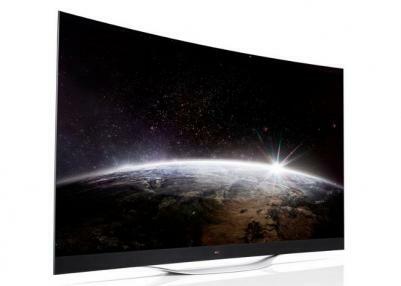 The 77EG9700 is a 77" curved UHD (4K, 3840x2160) OLED TV. This TV was first unveiled at the IFA 2013 exhibition. Features include LG's Color Refiner that results in superior color consistency and balance, High Dynamic Range (HDR), passive 3D FPR, LG's Tru-ULTRA HD Engine Pro that can upscale resolutions from SD to 4K and Motion Estimation Motion Compensation (MEMC). The TV also includes LG's newest Smart-TV platform. Yes, I've seen the post cooters, thanks. I will post on this later.